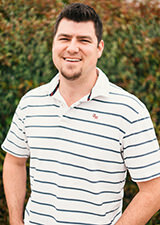 Andrew is a project engineer in the San Luis Obispo office. He has completed structural designs for a wide range of projects for clients all over California including the City and County of Los Angeles, Napa and Sonoma counties, and a variety of public- and private-sector clients on the Central Coast. His project experience encompasses single- and multi-family residential, wineries, and designs requiring probable maximum loss analysis and reporting. Prior to his employment with Ashley & Vance, Andrew was employed as a framer with a construction company based in San Luis Obispo. This hands-on experience, coupled with a Bachelor’s degree in Architectural Engineering from Cal Poly, San Luis Obispo, enables him to provide efficient, cost-effective, and readily-buildable structural designs to meet both the architectural requirements and cost needs of our clients. Antwon is located in our Ashley & Vance’s Oakland office. 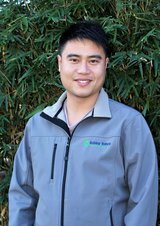 Born and raised in Orange County, he completed his graduate program at UC San Diego in 2014 and has since worked on numerous residential and commercial buildings in the Bay Area. His passion for architecture and community-building allows him to deliver quality engineering work that is praised by clients, architects, and industry partners. Antwon’s most recent work include apartment soft-story retrofits in San Francisco per city ordinance, and renovations of old industrial warehouses for various community centers in Oakland. Austin became AVE’s second staff engineer working from our Bend, Oregon office. As a project engineer, Austin has worked on high-end residential houses, commercial buildings, retrofits, and remodels, as well as tenant improvement projects spanning from Southern California to Northern Washington. Austin enjoys bringing efficient structural design to complex architectural issues, especially in high-wind or seismic areas. Austin earned his Civil Engineering degree from California Polytechnic State University in San Luis Obispo. Brandon is a collaborative and creative engineer with a Bachelor of Science degree in Civil Engineering from Montana State University in Bozeman, MT. Brandon is a life long "Wahingtonian," and has enjoyed living in various parts of the state that includes the dry side of the state, Mt. Rainier, and now Bellingham. During his 16 year career he has spent time in Alaska managing heavy civil construction projects, and leading renewable energy engineering projects in Montana, Hawaii, and Washington. 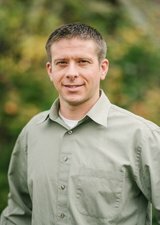 For the past 11 years Brandon has been practicing engineering consulting in the greater Bellingham area. His permitting experience spans the spectrum from local and state agencies, to FERC, and The U.S. Bureau of Reclamation. His work includes renewable powerhouse designs, penstock design, fish passage, municipal water supply, wastewater treatment, stormwater engineering, and vertical structures. He has a proven track record of success delivering cost-effective and inventive designs that meet the goals of the clients, architects, contractors, and the public. In his spare time Brandon enjoys camping with his family in their family van, mountain biking the local trails, and alpine skiing. Bree’s attitude and energy are unparalleled, allowing her to excel at a wide variety of tasks that include public outreach, marketing, and accounting. Having knowledge of accounts receivable and accounts payable, Bree aids in Ashley & Vance’s daily activities and assists the accounting department. Bree maintains office services by organizing administrative operations and procedures, preparing payroll and invoices, controlling correspondence, assisting with social media, and providing website administration. We are all grateful for Bree’s positive attitude and enjoy the pleasure of working with her. As a licensed civil engineer in Colorado and California, Bruce has worked on public school improvement projects, as well as public and private sector infrastructure projects. 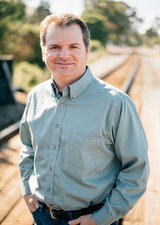 His project experience includes survey and design for multiple resource conservation districts throughout the West, planning and design for wastewater and water treatment projects, financial, and regulatory planning services from a civil engineering capital perspective, and preparation of full construction documents including specifications, plans, and bid documents. Bruce is highly efficient with civil engineering software such as Autodesk Civil 3D, and has provided Civil 3D training seminars for other design professionals in the industry. An integral member of our team from the very beginning, Chad serves as a Principal Structural Engineer in our Santa Barbara office. He has completed numerous structural engineering projects throughout San Luis Obispo, Santa Barbara, & Los Angeles counties, and has taken great pride in offering creative & cost-conscious design solutions in areas ranging from custom residential & multi-family housing, to commercial buildings & industrial facilities. Chad couples his extensive design experience with strong communication skills to effectively manage projects by actively interfacing with clients, fellow design professionals, governing jurisdictions, and his own team members on a day-in & day-out basis. With a Structural Engineering license, a degree in Civil Engineering from Cal Poly, San Luis Obispo, and construction management experience at Walt Disney Imagineering, Charles allows his construction background to drive his innovative designs. As a lead structural engineer for custom residential and commercial projects, Charles designs and oversees structural projects at Ashley & Vance Engineering. Charles is a licensed structural engineer in not only California, but also in Washington, Oregon, Hawaii, Nevada, Arizona, Idaho, Texas, and Florida. His residential structural designs include projects spanning from Brentwood/Beverly Hills over to Malibu/Pacific Palisades up to Santa Barbara/Montecito throughout San Luis Obispo and Monterey Counties. And he has led numerous commercial projects on the Central Coast such as SLO Brew Retrofit, Chinatown/Monterey St. Retail and Hotel Serra. 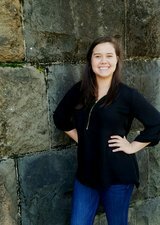 Chelsie earned her BS degree in Architectural Engineering with a minor in Construction Management from Cal Poly, San Luis Obispo. She began working for Ashley & Vance shortly after graduating, and she continues to be a tremendous contributor to our San Luis Obispo office and our Santa Barbara office. She has worked on a wide variety of projects ranging from tract homes to high-end custom residences, commercial buildings, tenant improvements, and various retrofits and remodels. Chelsie enjoys how each project poses its own distinctive difficulties, and in turn, requires a unique and cost-effective solution. Growing up on a ranch in Wyoming, Chelsie learned the value of hard physical work and the intricacies of the building process. As a young girl and into adulthood, she helped her father build multiple structures on their ranch and at their home. Chelsie’s exposure to the practicalities of construction gives her keen insight into the details and constructability of each of her projects. Chris is a project engineer for our structural engineering team in our Santa Barbara office. His experience includes marine structural and civil work, construction coordination, residential and commercial design. Chris received his Bachelor’s degree in Structural engineering from UC San Diego and his Master’s in Civil & Environmental Engineering from San Jose State University. 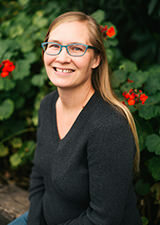 Cristi Fry is employed in the San Luis Obispo office and is a Registered Civil Engineer, a Licensed Land Surveyor, and also a certified Qualified Storm Water Developer and Practitioner. Cristi has been involved with land use and development since the early 1990s. She has worked on a wide variety of projects and has a specialized knowledge of subdivision design and subdivision mapping, including condominium mapping. 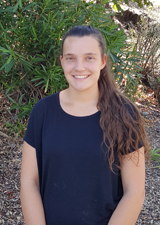 Cristi has been living on the Central Coast of California since 2000 and particularly enjoys aspects of the project entitlement process; site development constraint maps, preparation of conceptual development plans and preliminary drainage studies. Cristi has an expertise in chain of title research and lot legality studies and thoroughly understands the subdivision progression timelines and the required coordination with the agency, Title Company, Land Use Attorneys, and BRE processors that may be necessary. Cristi has experience processing project approvals with many jurisdictions throughout the state of California, from as far south as Malibu, and as far north as Napa. Cristi has a husband, two adult children and two dogs. When not working, Cristi enjoys traveling, camping, and house renovations. David is a structural project engineer located in the Bellingham office. Furthing himself, he is working towards his Civil Engineering degree from Washington State University. Previous to engineering, David worked as a framer with a local construction company for the last few summers building and shaping projects into life. As a native Washingtonian, he enjoys hiking, climbing, biking and, playing soccer. Located in our San Luis Obispo office, Deon has a diverse background in the construction industry. With a BS degree in Architecture from Cal Poly, San Luis Obispo and 10+ years of architectural design, electrical design, and drafting with a focus in solar power, civil design and drafting, and structural drafting. He has physically worked on many different types of construction projects in the field and behind the desk. He likes to problem-solve and he brings an innovative, forward-thinking perspective to the design table. Drew is a structural project engineer in the Santa Barbara office. He joined the A&V team after graduating with his BS degree in Civil Engineering with a structural emphasis. As a Santa Barbara county native, Drew is excited to work on projects that positively impact the community where he was raised. 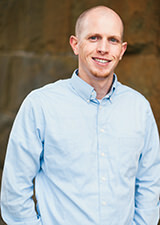 Dustin Revel is on our civil engineering team in our Bend office. Dustin studied Environmental Resources Engineering (specializing in hydraulic systems, natural and manmade) at Humboldt State University. 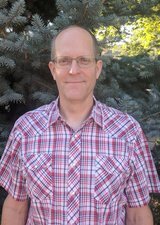 He has experience with residential, commercial, and industrial developments and has worked on several river restoration projects including fish passage improvements (dam removal, culvert replacement, etc.). Eric is a principal engineer who splits his time between our San Luis Obispo and Santa Barbara offices. He graduated from Cal Poly, San Luis Obispo with a degree in Architectural Engineering and he is a licensed Professional Engineer in the state of California. Eric contributes over 10 years of structural design experience covering a wide range of projects throughout California and Hawaii. His projects include Niner Winery’s 57,000 sq. ft. concrete tilt-up wine processing facility in Paso Robles, California and the Waihonua Tower, a 418-foot-tall reinforced concrete high-rise condo in Honolulu, Hawaii. Eric also has construction experience with slab-on-grade foundations and rough carpentry, designed on-site septic systems, and performed special inspections for helical anchors and grouted tiebacks. Whenever Eric is able to take a break from work, he can usually be found on a sheer granite face, rock climbing throughout the Sierra Nevada range. Located out of the Bellingham office, Erik leverages his diverse background in geology, engineering, and construction as a project engineer focusing on structural design. Prior to joining Ashley & Vance, Erik worked as a carpenter throughout the west, and also worked as a civilian engineer for the Puget Sound Naval Shipyard in Bremerton, WA. He applies the knowledge he gained from his experience to craft a exceptionally cost-conscious, practical, and efficient approach to each project. Erik has a Geology degree from Western Washington University, and a Civil Engineering degree from Montana State University. In his free time, he enjoys climbing, mountain biking, and sailing. 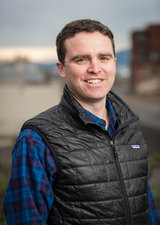 Evan is a project engineer for our civil engineering team in our Bellingham office. His experience includes doing steel and concrete design for projects ranging from pipe supports, personnel access platforms and has designed stormwater systems within refineries. 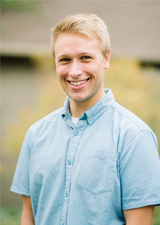 Evan earned his Bachelor’s in Civil Engineering at George Fox University in Newberg, OR. He is also a member of Engineers without Borders and currently working on monitoring and evaluating a Urine Diversion Dehydration Toilet (UDDT) in Axim, Ghana. Fernando brings over 30 years of Civil engineering design and project management on the Central coast to the SLO office. 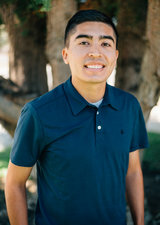 A resident of Arroyo Grande and serving on one of the advisory boards, Fernando has a drive to serve his community and takes pride and joy in what he does each day. He has served in a variety of capacities, ranging from commercial land development design and project management, large public-private partnerships and large industrial and commercial developments. When he’s not at work, Fernando and his wife love to spend time with the grandchildren, and Fernando enjoys his love of working and restoring old cars. Greg is a structural project engineer in our Los Angeles office. After earning his degree in Civil Engineering from UC Berkeley, Greg joined the team at Ashley & Vance’s Oakland office where he was a member of the structural design team for some of the largest projects in AV history. Greg has several years of structural design experience ranging from residential remodels and commercial TI’s to mid-rise hotels and seismic retrofits of large industrial buildings. Greg values all aspects of the engineering process, from client interface to collaboration between members of the design team to the technical details of engineering design. Ian is a project engineer for our civil engineering team in our Bend office. He received his Bachelor’s Degree in Civil Engineering from Oregon State University. Utilizing his skills with Civil 3D and HydroCAD is to aid in the design process, Ian works on various public infrastructure projects, utility improvements, and private civil developments. He has also provided civil engineering services for multiple apartment complexes and roadway projects, and has construction inspection and surveying experience. Ian joined our San Luis Obispo Office on the structural design team after receiving his M.S. in Civil Engineering from Cal Poly, San Luis Obispo. With a relentlessly analytical approach, Ian is often tasked with AVE’s most difficult and challenging projects. Over the years, Ian’s designs have incorporated wood, concrete, masonry, and steel framing systems as well as retrofits of unreinforced masonry—and, in some cases, all on the same project. Ian has worked on a variety of projects including custom residential homes, seismic retrofits, and commercial structures. Ian enjoys the challenges posed by unique projects and skillfully works through them to reach practical and cost-effective solutions. This results-orientated approach has allowed him to work through some of the largest commercial projects in the San Luis Obispo downtown corridor including Garden Street Terraces and the retail portion of Chinatown. Jackson began his career working in the oil and gas industry designing support steel structures and performing pipe stress analysis for high pressure oil field processes. Jackson’s passion for designing complex pressure piping projects in the oil and gas industry has translated excellently with our structural group at Ashley & Vance Engineering. He is currently working as a project engineer and is involved in design and project management for multiple challenging projects within the structural group. In addition to his design experience, Jackson has spent some time working in concrete construction and he took part in a large factory site redevelopment project in Indiana. Jackson is a graduate from Cal Poly, San Luis Obispo with a degree in Civil Engineering. Jackson is very excited to be working with Ashley & Vance and strives to apply his previous experience and work ethic to the structural engineering projects we offer. James grew up in North Carolina and studied chemical engineering at Oregon State University. He spent the following years as a professional plumber on the West shore of Lake Tahoe before transitioning into his career in structural engineering. James’s studies and previous experience provide him with a diverse outlook on building systems and enables him to seek multiple solutions to difficult problems. James is also an artistic person and environmentally conscientious--his favorite part of structural engineering is providing multiple design idea’s that consider economics, aesthetics, and smart building materials to achieve an architect’s vision. As a long time Santa Barbara local, Jason has been practicing civil engineering for over 20 years. He has worked on various high-profile projects with large multi-national civil engineering firms. For 10 years prior, he worked for Foster Wheeler Corporation in their Clinton, New Jersey office. He prepared civil and site improvement designs and plans for facilities serving the power, petrochemical, and pharmaceutical industries. Some of his past projects include grading and drainage design for international clients such as Amerada Hess, Shell Oil, and Merck Pharmaceuticals, both in the United States and overseas. Jason is intimately familiar with the entitlement and permitting process for large and small projects on the Central Coast and Southern California. Recently he worked on high-profile projects in the education, hospitality and healthcare industries as well as on luxury residential developments. Through these projects, Jason has become very familiar with the expectations of several local agencies within Santa Barbara County. 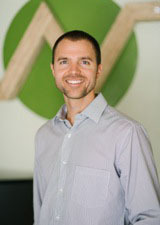 Jason is the principal civil engineer at our Santa Barbara office. Located in our Bend office, Jenilee is a licensed professional with over 10 years of experience as a civil engineering consultant in the Central Texas land development market. She designed, permitted and managed a multi-million-dollar commercial mixed use urban infill project in Austin, Texas featuring 350 multifamily units, 100,000 SF of Class A office space, 7,500 SF of retail and attached parking garage. Jenilee brings to the team project management experience in complex commercial, mixed use, office, industrial and condominium projects from conception through close-out. Outside of her passion for land entitlement, Jenilee enjoys backpacking, scuba diving and a good book. Jim joined Ashley & Vance Engineering in 2017, after 12 years as an accounting manager for a large contractor in the oil & gas industry. Working in the San Luis Obispo office, he brings a wide range of accounting knowledge and experience to the AV accounts team. 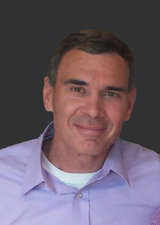 Jim earned a degree in Business Economics with an Emphasis in Accounting from UC Santa Barbara. Jim Lord brings 14 years of civil engineering design and project management experience to his role as principal engineer of the Bend, Oregon office. He has been living and working in central Oregon for over a decade and he has a deep understanding of the local standards, regulations, and business climate. Jim designed and managed the approval and construction of many private development projects including the Simpson Pavilion ice rink project for the Bend Parks and Recreation District. He also has extensive experience working on public improvement projects. Jim was the lead designer and construction manager for the 3rd Street Underpass Stormwater Improvement Project in Bend, Oregon. This project retrofitted an existing 80-year railroad undercrossing that was prone to flooding with a collection and pumping system, conveyance piping, and various bio-swales. He also was a design engineer for the $1.8B San Diego Gas and Electric Sunrise Powerlink Transmission Line Project and was responsible for designing over 50 miles of access roads, maintenance pads, and pull-sites. Jim is a proponent of sustainable design, low-impact development, and green building principals. He also owned and operated an organic farm for several years and has hands-on experience with agricultural and irrigation design. John Fischer, principal engineer of the Bend, Oregon office, brings 10 years of structural design and construction experience encompassing projects from San Diego to Seattle. From the conceptual phase to the construction phase, John contributes experience ranging from storage sheds to large custom residences, small tenant improvements to complex commercial buildings, and projects involving rooftop solar and retaining walls. John oversees all the projects that are performed by the Bend, Oregon office and produces a majority of the structural design. As a former licensed contractor, John has a unique awareness of building economy and constructability. Years of working in the building trades have ingrained his ‘builder’s perspective.’ This contractor-friendly approach is highly valued by architects and builders alike. As a fourth-generation building professional from a family of engineers and developers, John’s passion for building projects runs deep. This inspires him to go beyond the norm in facilitating and coordinating successful projects. John contributes a wealth of knowledge and experience in custom residential structural design to the AVE team. He has led many multifaceted jobs from design to construction and he exhibits critical attention-to-detail and problem-solving abilities while maintaining builder-friendly plans. He has also served as the engineering lead on a spectrum of structural projects. Some of these include concrete tilt-up buildings, residences subject to coastal flooding, buildings requiring overpressure ‘blast’ design, structures requiring deepened foundations, beach access stairs, and commercial buildings. With a background in forensic engineering, structural engineering for post-tensioning projects and project management, John is enthusiastic to apply his knowledge to diverse projects at Ashley and Vance. Prior to this position, John contributed complicated design solutions to over 30 bridges in the Bay Area. His experience in project management manifests in efficient and builder friendly solutions to complicated issues. John’s work ethic, organization and attention to detail are effectively applied to all of his projects. Outside of work, John actively pursues his love of skateboarding, enjoys the great outdoors and traveling throughout the world. Jon manages our Information Technology needs. He is based in San Luis Obispo but provides support for all of our offices. Working in the IT field since 2007, Jon has a Certificate in Computer Hardware and Networking from College of the Siskiyous, he is a Certified Microsoft Technology Associate (MTA), CompTIA Network + certified, and continues to study for additional IT industry recognized certifications. Jordan is one of the original engineers at Ashley & Vance Engineering, and he is now the principal engineer of the Northern Nevada office. He has designed structural projects of all sizes including remodels, custom homes, commercial buildings, and healthcare facilities. Having spent significant time in the construction industry, he brings a sense of constructability to engineering and enjoys delivering projects that are buildable and cost effective, while ensuring quality client service through completion of every project. Born and raised in the Eastern Sierras, Jordan has a particular affinity for the mountains and enjoys the unique challenges that heavy snow and high earthquake loads bring to structural engineering. He has been the lead engineer on many high-end custom residential and commercial projects in Mammoth Lakes, June Lake, and Lake Tahoe in California, and Bend, Oregon as well. Juan received his Bachelor’s Degree in Civil Engineering from Cal Poly SLO. Prior to working at Ashley and Vance, he gained experience preparing grading, drainage, and site utility plans for residential and commercial projects in Orange County. He continues his career working in our civil engineering team in our San Luis Obispo office. Juan can often be found hiking the local trails, relaxing at the beach, or body boarding in the ocean. Juan is part of our structural engineering team in the San Luis Obispo office. He graduated from Cal Poly with an Architectural Engineering degree and has previous experience performing geotechnical testing both in the lab and in the field. Juan brings a positive attitude and is excited to take on new projects with Ashley & Vance. In his free time, Juan enjoys playing soccer with friends and family and attending live sporting events. Julie is a project engineer for the Structural Engineering Team in the Tahoe office. Julie received a Bachelor's degree in Architectural Engineering from the University of Colorado at Boulder, with a focus in Structural Engineering. She has a knack for problem solving and noticing flaws and errors in design. She has a wide range of construction design experience with an Electrical Contractor and an MEP design firm in Las Vegas, as well as a wealth of knowledge of the Energy Code and Solar. 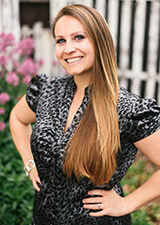 She has been working on a variety of Residential, Commercial, and Hospital projects. Karen Stoner has 17 years of design and construction experience, with projects across United States, China, Brazil, Mexico, Canada and France, in both high seismic and high wind regions. Her work includes commercial ground up and tenant improvements, custom and tract housing, rooftop and ground mounted solar systems, anchorage of industrial equipment and rooftop units, institutional, industrial, educational projects, and anti-terror ‘blast’ design work. She has provided designs using CMU, wood stud, heavy timber, reinforced concrete, hot rolled steel and cold formed steel building walls and frames, as well as low-impact or green technologies like Faswall ICF, Larsen Truss, and straw bale construction. As a Project Manager, she has led teams of other engineers and drafters as the coordinated the construction of multiple structures on larger commercial sites. She has also mentored her teams and clients on how to use certain CAD and BIM software and how to interpret codes in order to provide a complete design. Kathleen is a LEED-certified professional civil engineer with experience preparing grading, drainage, and site utility plans for commercial, residential, and public works projects in the San Luis Obispo, Santa Barbara, and Ventura County areas. Currently, she focuses most of her time on the hydrology and stormwater aspects of projects. 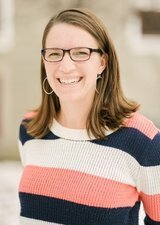 She has a passion for low-impact design, which seamlessly complements her skills for innovative stormwater detention and stormwater treatment designs. She has prepared grading permit packages and construction drawings for drainage, grading, and utility plans. These projects have required stormwater management structures to filter, store, infiltrate, and release stormwater. Ken Brown leads the Civil Department of the San Luis Obispo office. With over ten years of experience coordinating project development with private developers as well as cities, counties, and state representatives, Ken’s thoughtful interactions with all interested parties of a project lead to efficient, well-executed, impressive results. Ken works on a variety of complex commercial, municipal, and residential projects from the conceptual layout through the design and construction phases. He directs the preparation of civil improvement plans and oversees grading, drainage, water, and sewer design. Ken is a Qualified SWPPP Developer (QSD) who performs and oversees hydraulic analysis, stormwater drainage facility design, and drainage reports. He is also experienced with construction observation and preparing full documentation that complies with city, county, and state requirements. Maggie assists our administrative team in accounts payable, accounts receivable, sending and receiving correspondence, as well as greeting clients, and managing activities in all office locations from the San Luis Obispo office. She brings a big smile and positive outlook on the everyday tasks. Maggie is very excited to be part of the Ashley & Vance team. 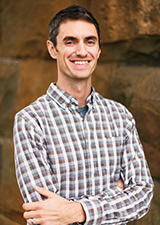 Matt received both his Bachelor's and Master's degrees from the University of Nevada, Reno in Civil Engineering with an emphasis in structural design. Upon graduation Matt worked overseas in Australia as a field engineer on a large natural gas project. Since returning he spent over 4 years designing base isolation systems for both structural and non-structural applications worldwide. When Matt is not in the office he can be found at the climbing gym or planning his next roller coaster road trip. 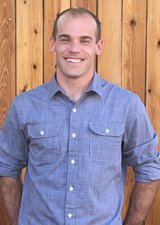 Receiving his Bachelor's degree in Civil Engineering from Cal Poly, Matt joins our San Luis Obispo office. He holds a background in structural and civil design and enjoys working on a variety of projects. With his formal training of a welder, he can understand the challenges that job sites can produce and offer contractor-friendly solutions. Matt enjoys being involved with the team to create projects come to life. Matthew leads the Oakland office with a diversified, broad-based background as both a civil and structural engineer. His project experience encompasses residential and commercial remodel and new construction, tenant improvements for multi-national retailers, alterations and renovations for industrial and telecom facilities, seismic upgrades and rehabilitation of aging structures, wineries and public art installations, and nearly everything in between. Matthew believes that the success of every project is firmly rooted in establishing client objectives and goals from project inception and ensuring those are met through communication, open collaboration, and the delivery of clear, coordinated, and constructible designs. Matthew has the unique ability to distill increasingly complex situations into increasingly simple and distinctive solutions. 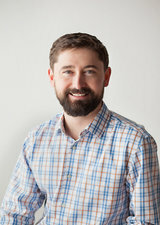 Prior to joining Ashley & Vance, Matthew was a partner at a San Francisco-based firm where he spent the better part of a decade leading the structural design of award-winning residences and restaurants, seismic upgrades of both commercial and residential properties, and “special situation” projects requiring out-of-the-box approaches. With a BS in Civil Engineering from Cal Poly, San Luis Obispo and prior field and design experience with sewer bypass and irrigation systems, Max serves effectively as a project engineer working on various civil projects in San Luis Obispo, Santa Barbara, and Los Angeles requiring grading, drainage, utility, and erosion control plans. 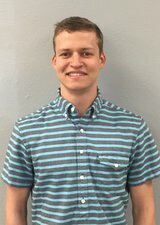 Along with general civil design, Max has been concentrating on hydraulic systems and has experience using Civil3D and HydroCAD for hydraulic modeling. Max has also worked on larger single-family residence projects that require the preparation of Storm Water Pollution Prevention Plans and has conducted numerous onsite SWPPP inspections since working at Ashley & Vance. With field experience in environmental design, Max recognizes the impact of his projects on surrounding ecosystems and ensures that vegetation and wildlife will be protected during every construction project. Michael works as a Structural Project Engineer out of our Oakland office. 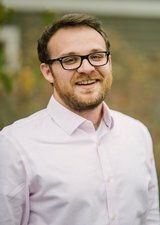 Originally from New England, Michael began working at Ashley & Vance Engineering after graduating from Cal Poly, San Luis Obispo with an M.S. & B.S. in Civil Engineering. 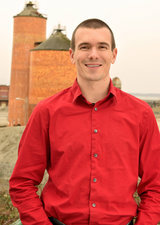 Prior to earning his degree, Michael interned with a local Structural Engineer in San Luis Obispo for 3 years where he was able to work extensively across a range of different projects, from exposed structural steel rehabilitation, to forensic engineering and litigation, to residential timber-framed projects. This experience and education has helped him immensely to develop a passion for solving problems inherent with existing construction and structural retrofits. 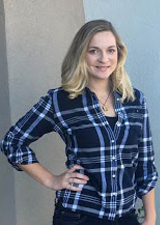 Mika joined the San Luis Obispo office as a structural project engineer shortly after completing both her Bachelor’s and Master’s degrees in Architectural Engineering at Cal Poly. Prior to joining Ashley & Vance Engineering, Mika managed a local coffee shop and learned about the importance of quality, consistency, and dedication. As a project engineer, she is eager to collaborate with industry professionals to bring a project from inception to completion. In addition to structural engineering, Mika’s passions include throwing pottery, traveling, and making a mean cup of coffee! 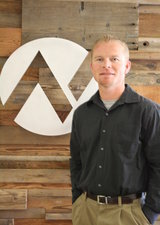 Miles is one of our project engineers on our civil engineering team in the San Luis Obispo office. He joined Ashley and Vance shortly after completing his degree in Civil Engineering at Cal Poly, San Luis Obispo. Miles takes pride in developing civil engineering solutions that are constructible, sound, and cost-effective. In his free time, Miles can be found maintaining one of his several aquariums, playing the drums, and enjoying the natural beauty of the central coast. 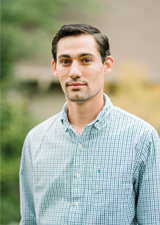 Peter is a recent graduate from Cal Poly, San Luis Obispo with a degree in Architectural Engineering. 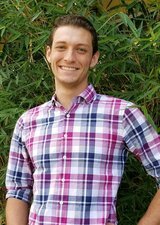 Peter is excited to begin his Structural Engineering career at Ashley and Vance working out of the Santa Barbara Office. After a couple summers of construction jobsite experience, he strives to build strong community ties and offer design solutions. Peter takes pride in working with a team that offers creative, economic services from design to completion. On his free time, Peter enjoys catching a morning surf and hitting the road for a quick lunch bike ride. As one of the principal structural engineersin the Santa Barbara office, Paul demonstrates a strong ability to communicate with clients along with a positive attitude and energetic approach to all projects. He welcomes challenges and enjoys working with clients to find a creative, cost-effective, and efficient solutions to any structural problem. Paul has a degree in Architectural Engineering from Cal Poly, San Luis Obispo and an extensive background in building construction, dabbling in a wide range of trades including welding, concrete, framing, and carpentry. He put those skills to work when completing a father-son development project of two hillside residences. Paul's comprehensive building experience elicits his unique approach to structural solutions. His structural designs have ranged from large custom residences to commercial projects, as well as a number of seismic retrofits along the Central Coast. 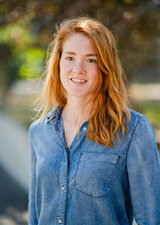 Rachel works on our accounting team in the San Luis Obispo office. 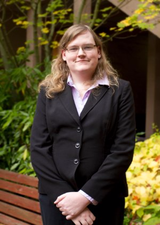 She received her Accounting Specialization Certificate from Cuesta College and has A/P, A/R, and payroll experience. Rachel's focus is on client billing and customer service. Rafael is a graduate in the Architectural Engineering program at Cal Poly, San Luis Obispo. He has a diverse background in structural, civil, and geotechnical projects. Rafael has completed residential and commercial designs, grading/drainage plans, and he has also performed geotechnical testing in the lab and field. He is well-versed in developing full construction documents and provides a real-world approach to his work. Rafael currently works from our San Luis Obispo office on structural engineering projects. His enthusiastic attitude shines through his work and personal life. He enjoys playing soccer and spending time with his family. Rian is a structural project engineer in the Santa Barbara office who brings a diverse range of talent to the AV team. He has six years of structural engineering experience in light frame wood construction for residential and multi-family projects, and is an expert on engineered wood products. 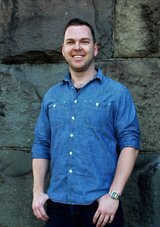 Rian is an innovator and a collaborator and enjoys putting his skills to work for his clients. He earned his BS in Structural Engineering from Cal Poly, San Luis Obispo and is overjoyed to be back on the central coast. Ricardo is a project engineer in our Los Angeles office. He received his Bachelor’s in Civil Engineering, with an emphasis in Structural Engineering, from the University of California, Irvine. He then began working at an engineering firm that specialized in seismic vibration isolation where he designed structural supports and anchorage for mechanical equipment. After becoming a licensed civil engineer, Ricardo deciding to pursue structural engineering, which was what led him into the engineering field to begin with. Robert is a project engineer on our structural team in the San Luis Obispo office. He graduated from Cal Poly with a General Engineering degree but learned to love buildings while employed by a Livermore based contractor. Robert has worked on high end residential, remodels and commercial buildings before and during his time at AV. Robert is a structural engineer in our Los Angeles office. He has a Bachelor’s degree in civil engineering with an emphasis on structural design and analysis from Cal Poly, San Luis Obispo. For Robert, construction experience created the foundation from which he began his career as a structural engineer and his career thus far has been spent as a project engineer for two different general contractors. Projects he managed include Grand Park in downtown Los Angeles, luxury condominiums in Santa Monica, and assisted living and memory care facilities in Colorado. Currently, he is working primarily on new and remodeled single-family residences, and retrofits of commercial and hospitality buildings. 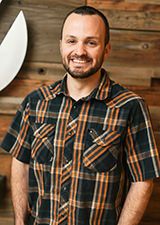 Ashley & Vance Engineering has added Rollston Frangopoulos to their design team in Bend, OR. He has his bachelors degree from the University of Wyoming. Rollston is a PE and will soon start the application process for his SE. He has 9 years experience in structural design working on hospitals, K-12, wineries, residential, and commercial projects. Rollston has experience with concrete, steel, wood, and CMU construction types. He has worked on many seismic renovations and upgrades including multistory unreinforced masonry, concrete, and wood buildings. In his time off he enjoys mountain/road biking, skiing, and traveling to Greece to visit family. Located in the San Luis Obispo office, Ryan graduated from Cal Poly, San Luis Obispo and has stayed in the area to take advantage of the good weather and scenery. He is a hands on person with a knack for fitting things together and helping to solve practical problems. Over the years he has worked on projects from custom residential to mixed use to OSHPD. This variety of projects has given him a well-rounded skillset and the ability to come up with a solution for any problem. When Ryan is not solving puzzling situations on paper, he is often seen on his bike on the roads of the San Luis Obispo are or on his mountain bike & dirt bike, shredding it in the hills. 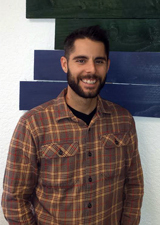 Ryan is a structural engineer in our San Luis Obispo office and a Central Coast native. Ryan is a product of Cal Poly with a background in construction and residential design. He designs towards a practical and efficient structural solution that will satisfy the needs of the client and contractor. Ryan is excited to tackle new challenges and unique projects that will make each customer’s dreams come true. He takes pride in being part of a team that is dedicated to seeing a project through from inception to completion. Located in our San Luis Obispo office, Sara utilizes her diverse background in design, communications, brand strategy, event planning, hospitality, and administration. She brings insight towards internal organization, provides executive and administrative support, and helps build a cohesive voice across our branch offices for clients, our communities, and industry professionals. Her bachelor’s degree in Art & Design from Cal Poly, San Luis Obispo gives her a strong appreciation for functional design in all forms, so she is happy to help our engineers and principals stay focused on their creations and craft (while also sneaking peeks at exciting building plans). Scott Benjamin comes to us after spending 12 years doing architectural and civil design that specializes in building large dairies in the western United States. There he did both architectural and civil design plus surveying and some project management. Scott graduated from Montana State University Northern and has spent his career in several different aspects of engineering from designing and building farm machinery to Industrial food processing machinery to Designing Dairies. Scott brings 11 years of experience using AutoDesk Revit. Scott will be working from his home in the Pinedale Wyoming area. 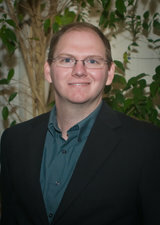 Scott is a structural project engineer located in our Reno office. He graduated from the University of Nevada Reno with his BS in Mathematics and continued his education receiving his MS in Civil Engineering, with a focus in Structural Engineering, from Colorado State University. Scott enjoys problem solving and has worked construction on several small residential projects which has allowed him solve some of the physical hurdles that arise in implementing their design. He brings an open mind to the team and looks forward to creating unique solutions for any project he works on. As a licensed structural engineer and principal of the Los Angeles office, Sean is responsible for overseeing the structural design of high-end residential, commercial, hotel, multi-use, and tenant improvement projects in the greater LA area. Sean stands out as a creative and versatile engineer with experience in concrete, steel, masonry, and wood construction for a wide variety of structural systems. During his career, Sean has been involved as lead design engineer for several notable projects such as a 244-unit mixed-use development with two levels of subterranean parking in Marina del Rey, a 53 unit multi-family residential community in Palm Springs, a multi-story hotel addition with underground parking in Burbank and a major tenant improvement at the Beverly Center in Los Angeles. He has a proven track record of delivering cost-effective and inventive designs that meet the goals of the clients, architects, contractors and other professionals. Located in our Bend, Oregon office location, Stacey excels in her role as ​part-time ​office manager for AVE. She keeps the office running smoothly with her reception, administrative, and financial skills. Stacey has a Bachelor’s degree in Business Administration from Cal Poly, San Luis Obispo and a background as a licensed tax consultant and an enrolled agent​.​​ Wearing many hats, she works for the Ashley & Vance Engineering Bend, Oregon office and also for a local accounting firm. ​Stacey has been a much-appreciated ​part of the Bend team since its inception​ in 2011​​. 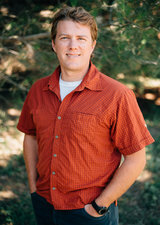 Steven is part of the structural engineering team in our San Luis Obispo office, having received his M.S. in Civil & Environmental Engineering from Cal Poly, San Luis Obispo. His design experience covers a variety of projects ranging from small-scale home remodels to multi-family residential developments. Steven brings thoroughness and close attention to detail to every project he works on, regardless of scale. When not engineering, Steven enjoys hiking the San Luis Obispo area or reading a good mystery. Before joining the Bay Area team, Thaddeus graduated with a degree in Architectural Engineering from Cal Poly, San Luis Obispo. He remained in the area for a time working on structural design projects throughout the Central Coast furthering his knowledge in the field. After deciding to move north, Thaddeus joined our AVE team as a structural project engineer in the Oakland office. Through his past work on new residential construction, seismic retrofits, and commercial projects he has honed a passion for developing cost effective and practical engineering solutions. Thaddeus now brings this passion into his work in the Bay Area while contributing to the diverse project types undertaken by Ashley & Vance Engineering. 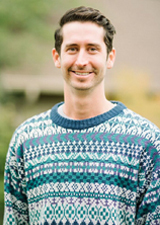 Timothy recently graduated from the University of Nevada, Reno and now works in the Santa Barbara office. With an honors degree in Geological Engineering, he looks forward to bringing his passion for geotechnical projects and hydrology to the Civil team. During college, Timothy interned in a lab performing soil testing as well as in an engineering firm where he worked on geotechnical projects in mines and roads. He has also gained hands on experience in construction while framing buildings and remodels. After graduating, he spent a season wildland firefighting where he gained a larger appreciation for positive communication and teamwork and aims to bring these skills into the professional realm. When he’s not inside, Timothy is outside... He loves shredding powder on skis, dirt on a mountain bike, and his hands on rocks while climbing. Travis joined the Oakland office after three years of structural engineering work in San Francisco and the surrounding Bay Area. In addition to numerous projects ranging from heavy equipment anchorage to full multi-story residential remodels, Travis has also designed and managed over 30 residential seismic retrofits as part of the San Francisco’s mandatory Soft Story Retrofit Program, and is a familiar face in the local building departments. His knack for personable and informative interaction with owners and builders, has always left a positive impression that has often resulted in repeat clients. Travis earned his B.S. in Civil Engineering at Cal Poly, San Luis Obispo. Truitt, a principal engineer and original founder of the company, approaches each client and project with his vast skill set, BS in Civil Engineering from Cal Poly, San Luis Obispo, and broad spectrum of experience as a fourth-generation builder, journeyman carpenter, licensed general contractor, construction manager, and multi-family developer. Truitt specializes in providing practical, buildable designs for all projects. He currently oversees land development projects in the San Luis Obispo office including challenging custom residences like cliffside homes in Shell Beach; luxury cabins tucked into mountainsides in June Lake and Mammoth Lakes; large multi-family housing developments such as Cypress Village in Buellton, Heritage Square in Santa Maria, and SLO Terrace in San Luis Obispo; large-scale mixed-use commercial projects throughout California; and wineries including Shale Oak Winery, Le Cuvier, and Adeleida Cellars. Given his expertise in all stages of developing, designing, and building, Truitt provides a sought-after, knowledgeable perspective internally to our team of talented professionals at Ashley & Vance and also externally to our widely-varied clientele. Truman has 30 years of experience as a Senior Transportation Engineer and Project Manager at Caltrans and Inyo County overseeing federally funded road design and bridge projects. Truman’s familiarity with government agencies is a valuable resource and contribution to a successful project. Truman’s experience and knowledge of the complete project development process for federal aid Bridge Replacement projects enables him to efficiently assist the entire project team. Tung is a structural engineer in our Reno office. As a long time Reno/Tahoe local, Tung obtained his MS degree in Civil Engineering from the University of Nevada, Reno. He spent over 15 years in the seismic base isolation industry designing and managing isolation projects throughout the world. Currently, Tung creates structural designs for custom residential, multi-family and commercial projects. With background in both architecture and construction, Tyler knows some of the needs and desires of architectural design and how structural engineering can supplement and enhance those goals. 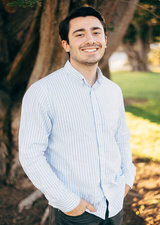 Initially calling Bishop and the Eastern Sierras home, Tyler attended Cal Poly San Luis Obispo and majored in Architecture and Architectural Engineering. He first started working for Ashley & Vance while attending college and continues to help our clientele with his valuable and unique skill set. He returned to the mountains and to the Tahoe area after college and also spends part of his time in Fairbanks, Alaska. Victor earned a BS degree in Architectural Engineering from Cal Poly, San Luis Obispo. After graduating he relocated to the San Francisco Bay Area to work in architectural precast concrete and podium structures. He is currently attending San Jose State University to receive his M.S. in Civil Engineering. He has joined the Oakland Office and is excited to part of the team and tackle projects throughout California. Zach is a specialist in managing local, state and federal road and highway projects. He managed a large transportation project that created HOV lanes between Dallas and Fort Worth; led team efforts in the Seward Highway Project in Alaska that included freeway lanes, frontage roads and commercial access; and he was the project engineer and designer for a transit improvement project in Newcastle, Washington. He is adept at facilitating stakeholder negotiations and has extensive experience in preparing roadway bid packages, including plans, specifications and estimates. He’s a member of the American Society of Civil Engineers and holds a BS from the Colorado School of Mines.